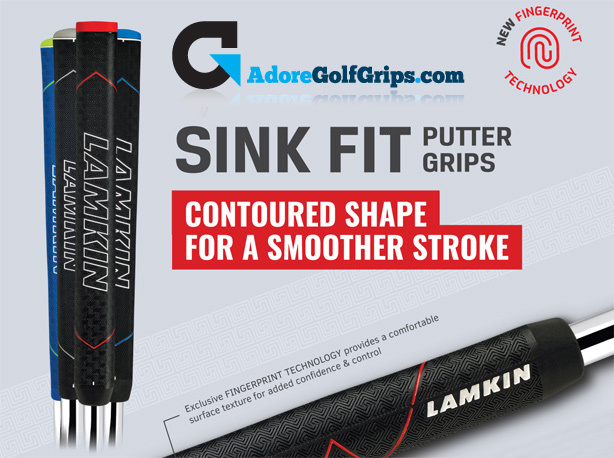 With a distinctive contoured shape and exclusive Fingerprint Technology, the Sink Fit Straight encourages lighter grip pressure and a smoother putting stroke. The Sink Fit Straight features a parallel shape with a subtle contour in the back of the grip. An excellent tool to encourage a smoother, pendulum style putting stroke. Fingerprint Technology offers a comfortable and secure feel with an ideal level of grip traction for a confident connection. Rubber versions made with a proprietary compound developed by Lamkin chemists to provide a responsive feel, optimised surface tack, and unmatched durability. The unique contoured shape promotes proper wrist alignment for a more controlled, consistent putting stroke. The Sink Fit Straight Non-Taper Midsize Rubber Putter Grip is 285mm in length.